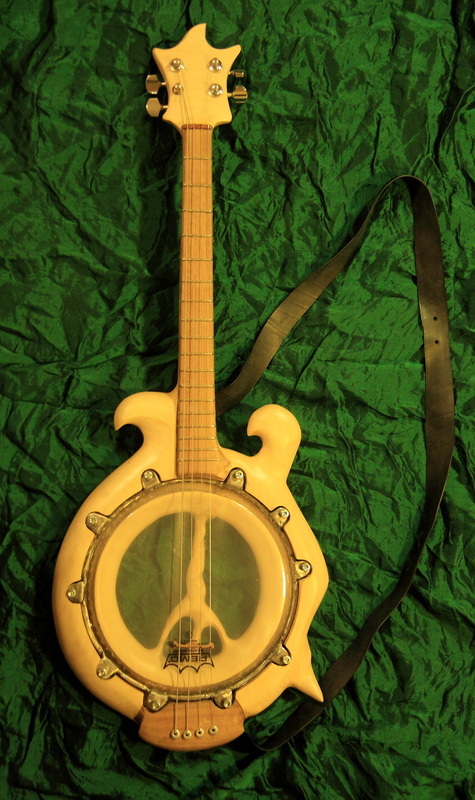 This banjo is made from one piece of oak, some synthetic material used for heavy duty circuit boards, a door hinge and some old tuners! 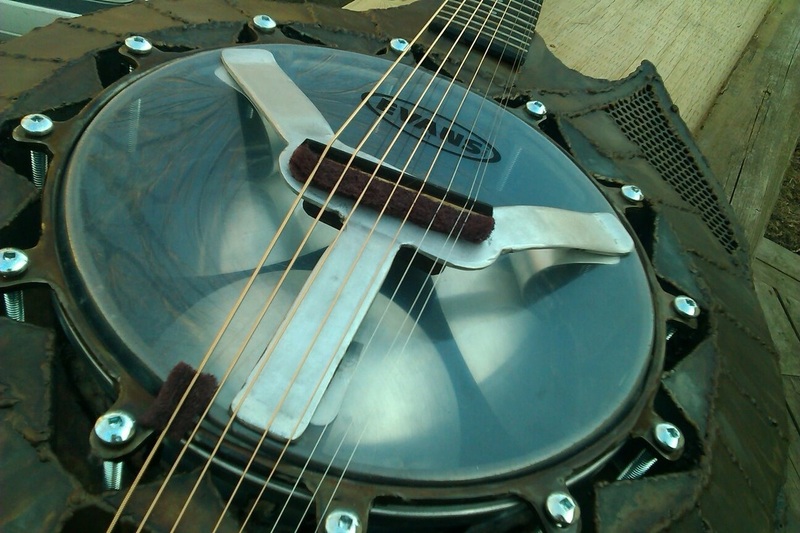 a real make shift rustic sound, loud, clear and resonant. 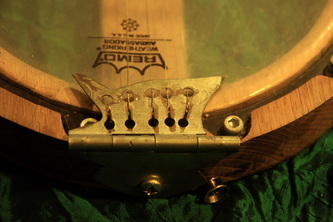 this banjo has traveled to Canada and across Europe simply strapped to a backpack, and its still ticking! 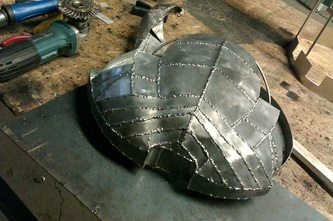 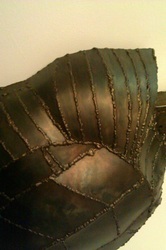 Available for custom orders. 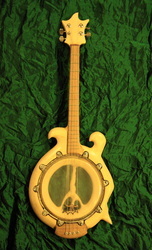 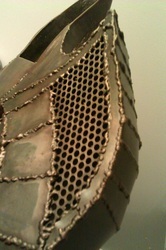 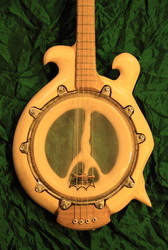 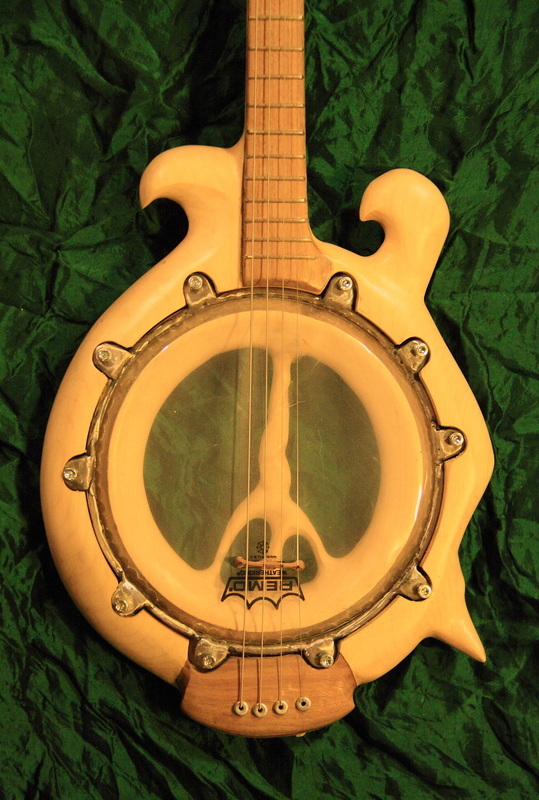 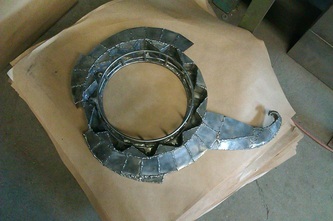 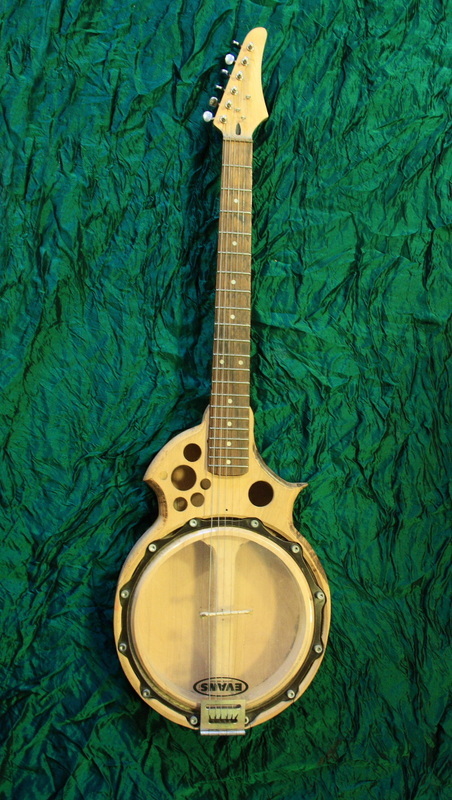 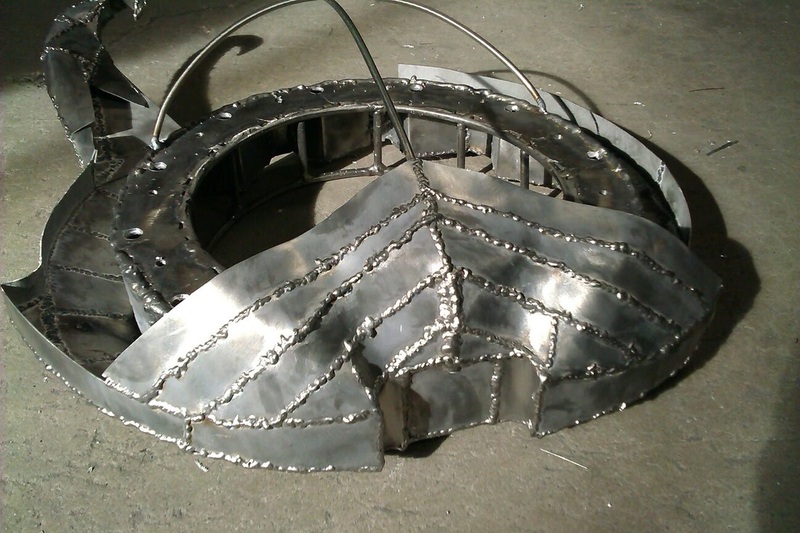 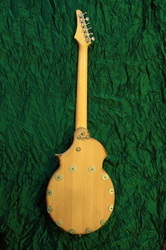 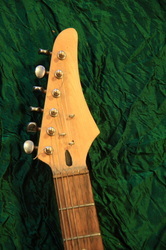 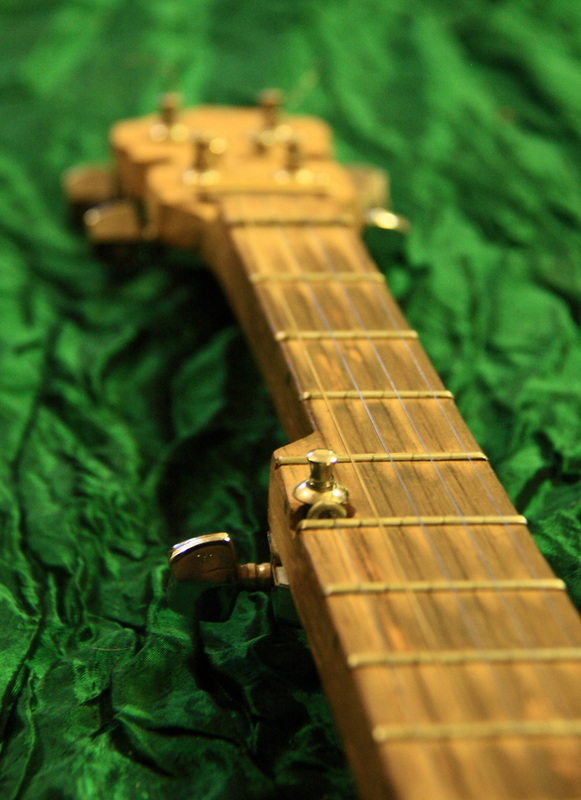 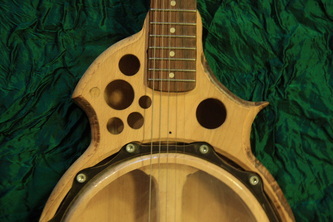 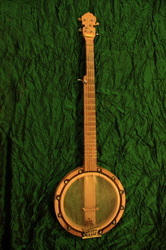 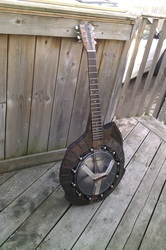 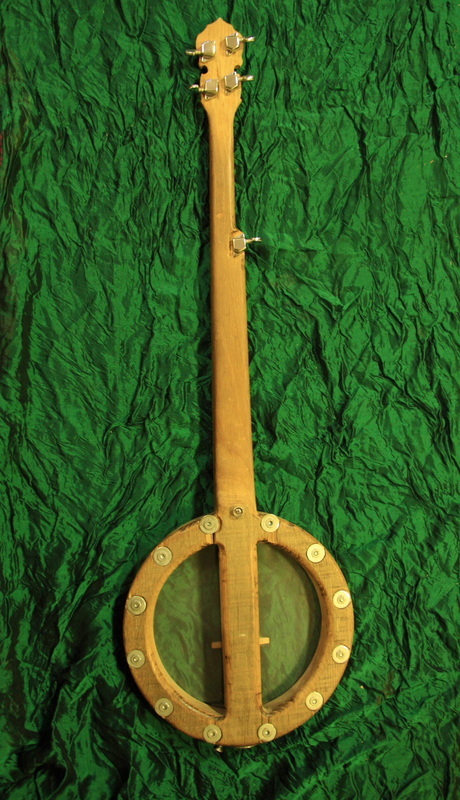 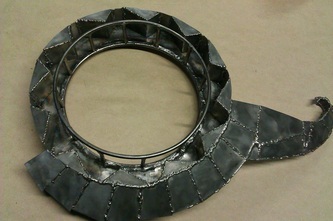 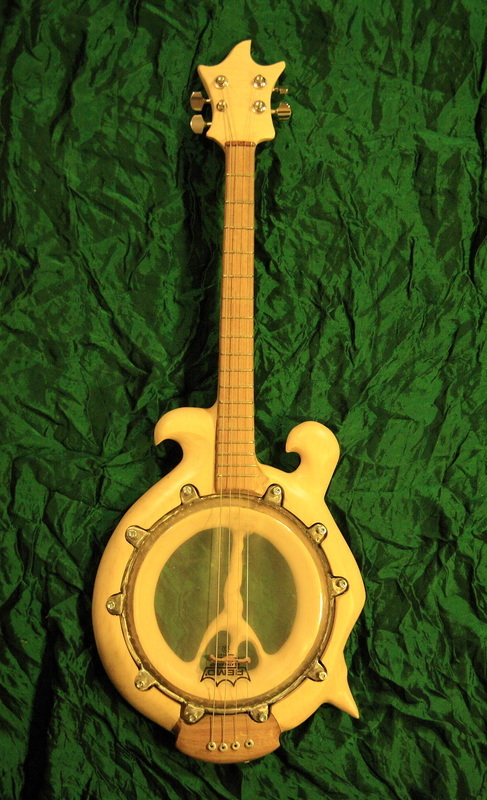 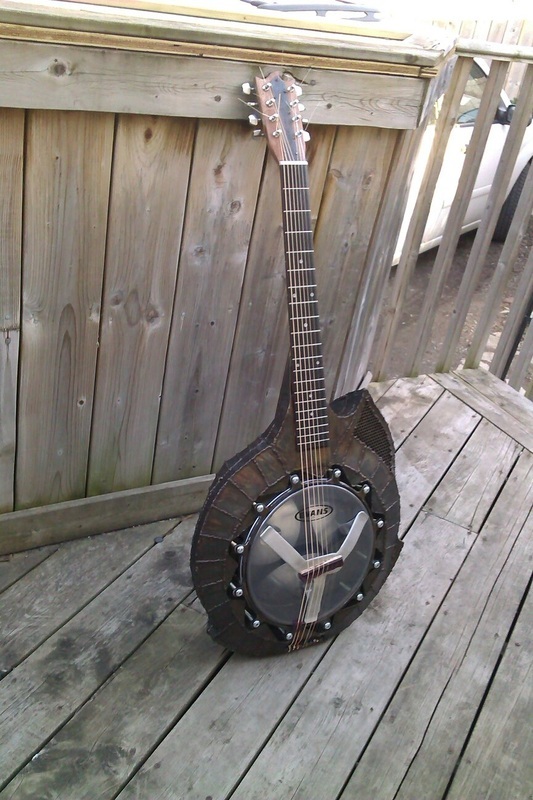 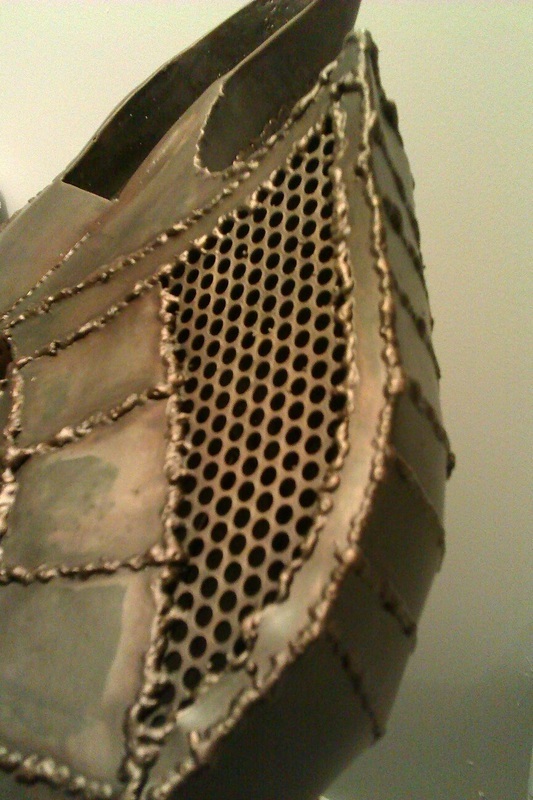 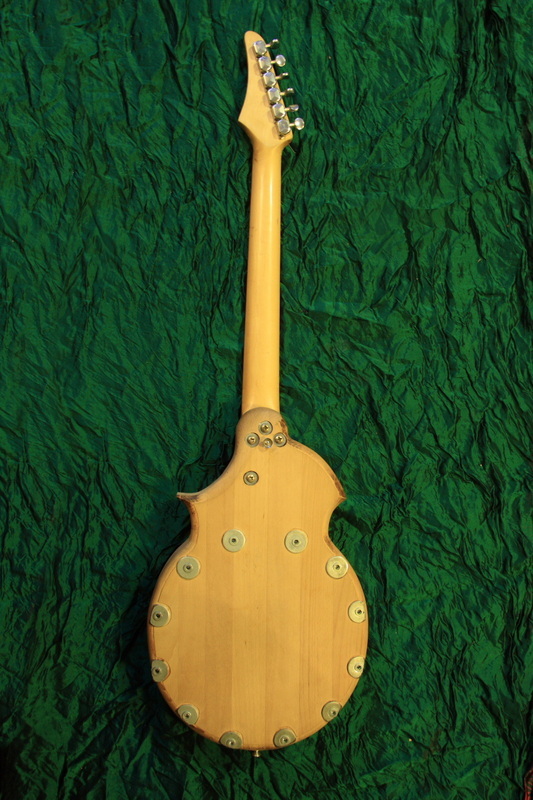 This piece is a similar concept to the first banjo, however it is a hollow body, 6 string with a guitar neck. 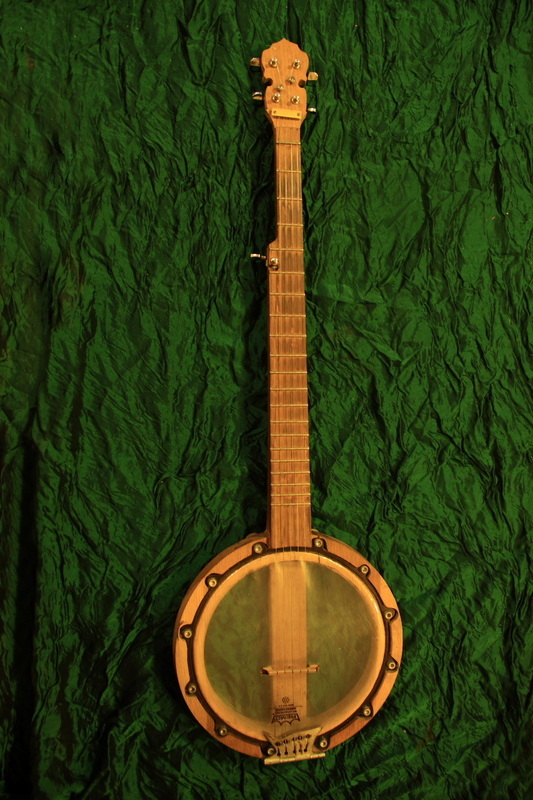 It actually has quite a sound, similar to a steel guitar because of the banjo style resonator and a hard wood guitar body.